Burwood is a Victorian suburb situated 17 km east of the Melbourne Central Business District. It provides a peaceful environment away from the city life and is still close to all necessary facilities. PJ Curtains and Blinds is one of Burwood’s renowned curtains manufacturer and seller. We provide all sorts of curtains and blinds such as block out blinds, sunscreen blinds, vertical drapes, canvas awnings and roman blinds. Not only we are known for our excellent quality curtains and blinds, but also for our curtains, blinds installation, and repair services. 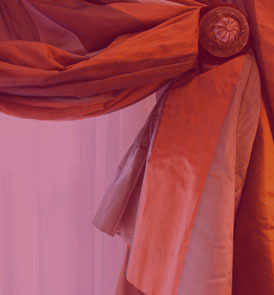 Curtain repairs Burwood has an experienced staffs for all your curtain repair needs. All qualities of curtains, when exposed to daily wear and tear, can eventually be damaged. One of the most common problems is the damage done to the curtain by sunlight. We can easily repair the damaged part of the curtain in Burwood , provided there is sufficient material. PJ Curtains and Blinds can also insert a lining to the curtain, which would help protect the actual fabric of the curtain from direct sunlight. The lining can later be replaced if damaged without having to get the curtain changed. Apart from the sunlight damage, all other tears, burns and holes can also be fixed if there is enough undamaged curtain fabric. The broken head tapes and side tags can be easily replaced. If there are broken pleats in the head or unsown hems, our workers can re-do them at affordable cost. 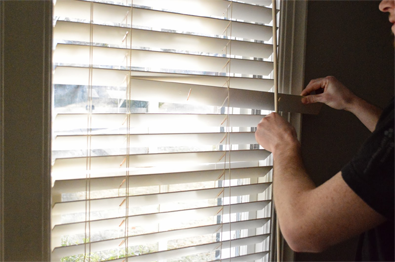 Other than minor repairs, PJ Curtain Repairs Burwood can also do major repairs like remaking the curtains. The curtains can be shortened or their width changed according to the new window measurements that you provide us with. We strive to make as much changes as you require without incurring huge amounts of costs and without having you make new curtains. We believe that if the problem can be fixed easily, there is no need to make new curtains for small damages. Call us now to get advice on how you can get your curtains refurbished in no time! We guarantee you the best of the service and the most affordable prices in the Burwood region. Call us now at 0 9813 8530 or 0414 530 737.